We've learned a lot working with companies like Bayer, Dish Network, and Capital One. If you don't see what you're looking for, please reach out. 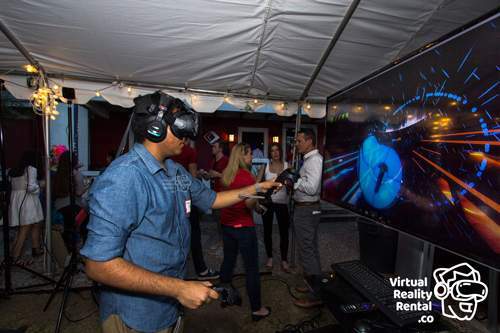 Virtual Reality offers a great way to connect with your event attendees and leave a lasting impression. But if you are still unsure if VR is right for you, we’re here to answer all of your questions. 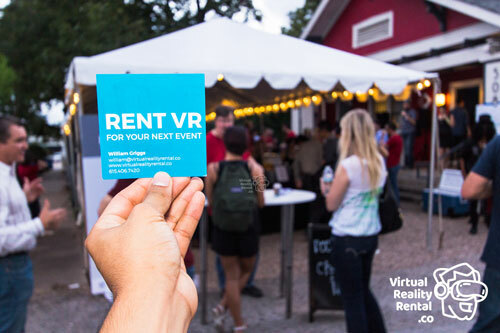 Below you can find a series of frequently asked questions to help you decide if partnering with VirtualRealityRental.co is the right fit for your next event. What is the difference between 360 VR and room scale VR? Our room Scale VR offers a much more immersive VR experience than its counterpart 360 VR. 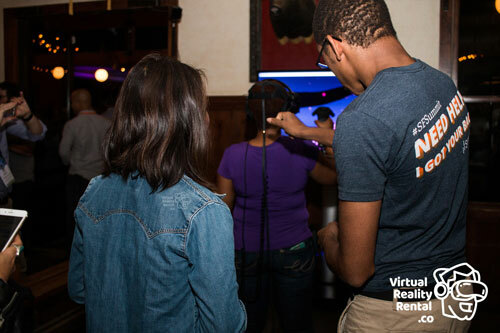 In room scale VR, guests are not only standing, but they have the ability to move around in an 8-foot by 8-foot space while interacting with virtual objects. Whether you want to become a space pirate, visit a virtual carnival, or test your skills as a professional quarterback, our catalog of over 3,000 room scale experiences allow us find the perfect fit for you and your guests. How much space is required for each rig? 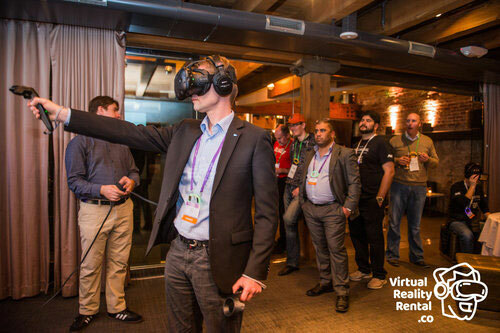 Take a look at our VR Activation Layouts page to see how the VR experience can fit into your event space. How much power is required for each rig? Can the technology be used at an outdoor event? No, the majority of virtual reality experiences do not require Wi-Fi. If you select one that does, we will let you know. Can you just ship us the equipment? 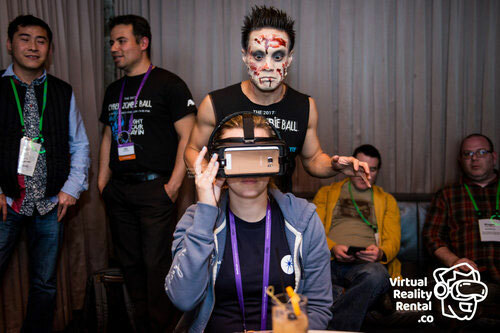 What will a virtual reality activation look at my event? What is it like to experience Room Scale VR? Watch the video below to see just how exciting and immersive VR can be. While we don’t actually bring green screens to corporate events, this video was designed to give you a sense of what it’s like to experience VR. 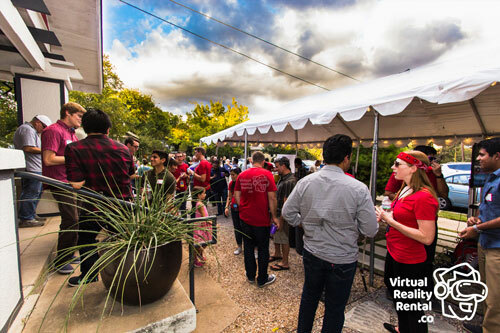 How should we handle guest throughput and logistics for our virtual reality activation at our event? Handling lines and logistics depends in large part on your company’s specific preferences. One option includes creating lines to generate attention and buzz. 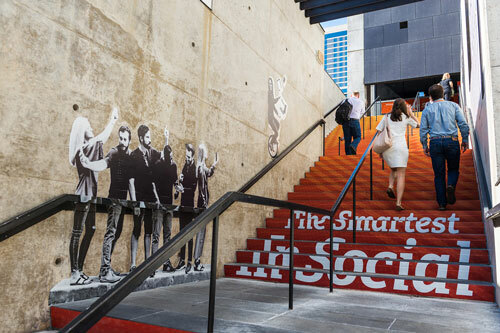 This way, your company can show event attendees that your organization is fun and interesting to work with. 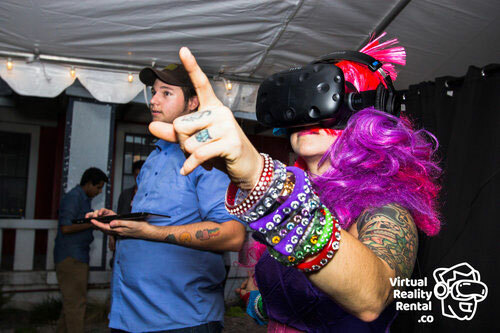 You can also develop a more premium experience by requiring event attendees to take a pager or schedule a time to experience VR. We can even set it up to where they receive a text reminder when their appointed time draws near. 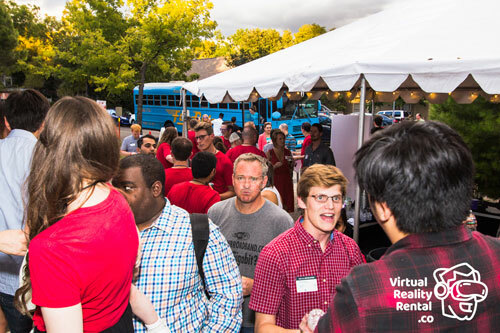 Yet another option involves taking a VIP approach, where you give first dibs to the VR experience to certain important partners, clients, or prospects. Or, you can forego preferential treatment altogether and take a first-come first-serve approach using a standard reservation system. You can even require attendees to sign up for a pass ahead of time when signing up for the conference. 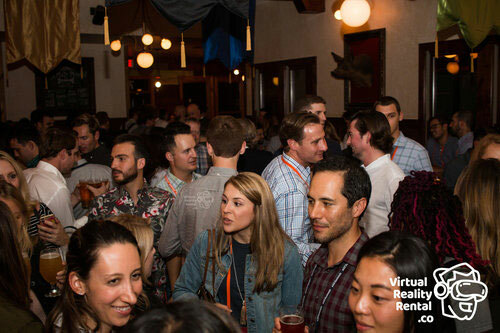 The most important thing to remember is that this is your event, and you have many options when it comes to controlling access to the VR experience and maximizing value for your company. 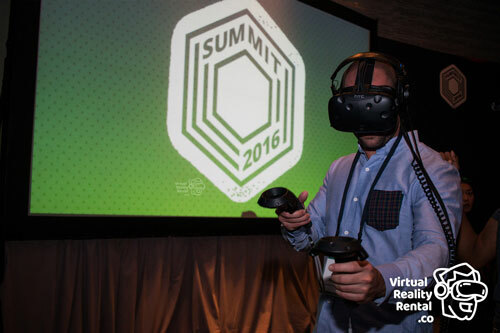 How can we brand our virtual reality activation at our events? There are multiple ways to brand your VR experience. First, if you plan on working with us to develop a custom experience, branding is already a part of your package — from the voiceover to the graphics to the user experience. If you need a shorter timeline or are on a smaller budget, we can help brand the area surrounding your event location, including around the televisions for the Room Scale VR experience or the headset itself for the 360 VR experience in the form of vinyl graphics. Ultimately, our professionals will work with you to decide what makes the most sense for your specific event. 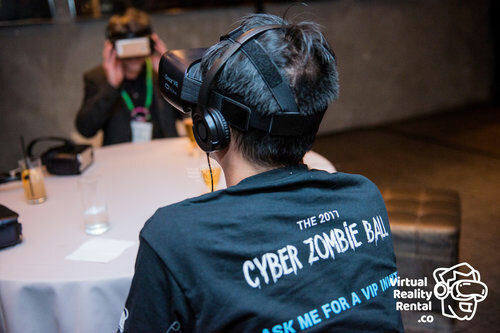 How can we use a virtual reality activation at our events to generate leads? There are a variety of ways for your company to generate leads using VR. 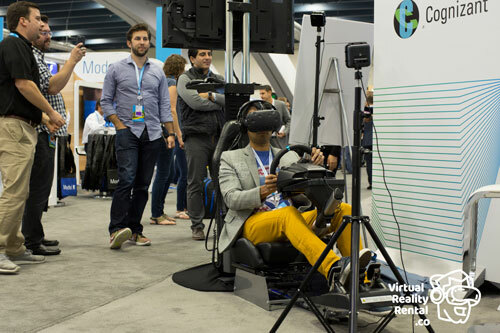 The easiest way is to use the VR experience as an enticement or reward for event attendees to come to your booth in the exhibit hall. 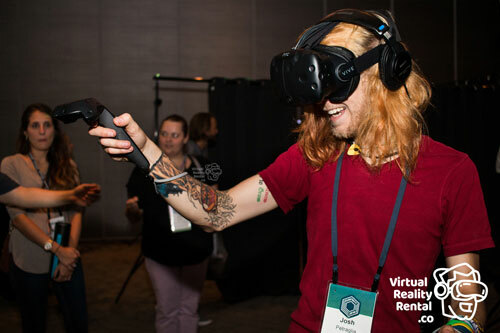 Basically, the VR experience acts as a magnet, drawing event attendees to your booth. 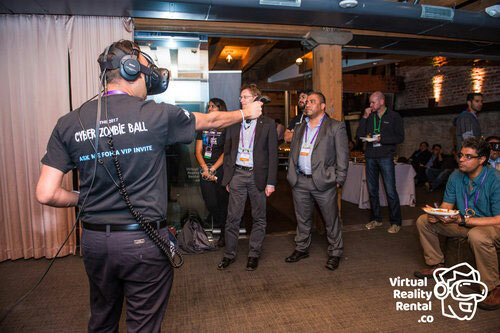 Other ways include offering to let attendees try the VR experience, but only after a sales conversation. This way you frontload the setup so that you scan attendee badges before they can try the experience. 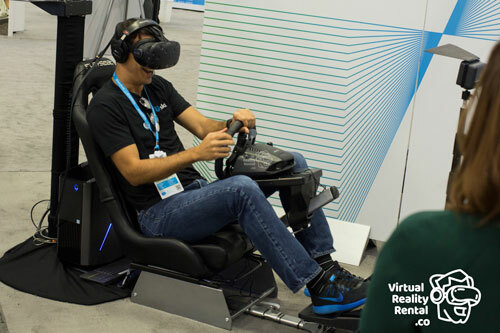 Another alternative involves setting up appointments to talk with your salespeople and then giving attendees a reward in the form of VIP access to the VR experience. Our VR equipment is not for use by children under 13. Watching videos or playing games in VR may affect the visual development of children. Additionally, when children, age 13 or younger, use VR, adults should limit their usage time and ensure they take frequent breaks. Is there anyone who should not use VR? A comfortable virtual reality experience requires an unimpaired sense of motion and balance. Do not use the headset when you are: Tired; need sleep; under the influence of drugs; have digestive problems; under emotional stress or anxiety; or when suffering from cold, flu, headaches, migraines, or earaches, as this can increase your susceptibility to adverse symptoms. In addition, we recommend seeing a doctor before using the headset if you are pregnant, elderly, have pre-existing binocular vision abnormalities or psychiatric disorders, or suffer from a heart condition or other serious medical condition. 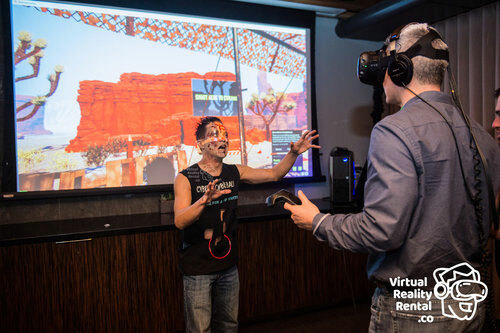 Can you bring VR to my birthday, bar mitzvah, or wedding? While we hope you have a great time at your event, we exclusively focus on providing our services to corporate events.